I searched the internet about foods that affect a dog that has had oxalate stones from University Veterinary sites. Keeping a dog alkaline also helps prevent stones, thus; I checked the alkaline and acid levels of foods and used the foods in this recipe that contributed to an alkaline balance. I use pH strips for urine and saliva to check my Schnauzer's pH value. Dog's normally have a high alkaline level in their mouths which is the reason they do not get cavities in their teeth like humans, thus; their pH urine levels and saliva levels differ when checking both. I found that green beans, broccoli, celery, spinach, mustard greens and sweet potatoes can contribute to the formation of oxalate stones. Those that are allowed are cabbage, carrot, peas, white potatoes,cauliflower, pasta, rice, chicken, asparagus,low sodium chicken broth, eggs, and olive oil. In the fruits- allowed are melon, and banana. Buckwheat flour has a lower acid pH than whole wheat or white flour so I use the buckwheat flour. I showed his Vet. these treats and ingredients and he approved. My Schnauzer is also on potassium citrate 7.5mEq twice a day (to help keep his body alkaline) and should be given with food. I have him on a 6:30AM and 6:30PM schedule. With his morning citrate, I give him four of these treats, for his lunch he gets a boiled half chicken breast and three strips of asparagus. He eats his special food Purina NF for his dinner. 1 CHICKEN BREAST- BOILED- 45 MINUTES. PROCESS THE VEGGIES, ADD THE CHICKEN TO THE MIXTURE, THEN ADD THE EGGS, BANANA AND MELON, AND OLIVE OIL, RICE OR PASTA. POUR THIS MIXTURE INTO A LARGE MIXING BOWL, ADD THE LOW SODIUM, LOW FAT CHICKEN BROTH - MIX WELL. ADD THE BUCKWHEAT FLOUR A CUP AT A TIME. DROP BY TEASPOON FULL ONTO A COOKIE SHEET AND BAKE AT 350 DEGREES FOR 35 MINUTES. PLEASE NOTE: THESE HAVE A TENDENCY TO STICK IF THE PAN IS NOT GREASED PROPERLY SO I USE A SILPAT PAD IN MY PANS. THE SILPAT PAD REQUIRES NO OILING AND IS AVAILABLE FROM AMAZON- A PRODUCT OF FRANCE. I HIGHLY REC. USING A PAD OF THIS TYPE. Comments for Baked dog treat - allowed for Schnauzers that have had oxalate stones. My small dog had a stone removed. I bought a pet water fountain which increased her ph and she loves it! I also boil/cool the water I use in it. Am using the diet from Mary Straus (DogAware) and there is not a grain of rice left in her bowl-she despised Royal Canin and is it any wonder as it assists with one problem then creates more. The lack of deposits in my backyard tell me alot. Vets aren't trained in pet nutrition so I needed to reach out and put my trust into someone who has done the research and verifies the qualities of various foods that do not work well for my pooch. She even emailed me back to say she was sorry to hear about my pet issue and offered a good deal of direction which no one else has done-now who takes the few minutes to send off a personal response pray tell? Mary is my Dog Saint. Good luck everyone. We have a miniature schnauzer named Jake that is just turning 4 and has been diagnosed with calcium oxalate stones. When he was 2 we took him to the vet for a urine test and were told that he had crystals in his urine and they recommended he be put on Royal Canin Urinary SO dry dog food. I know that this is a hereditary issue but the prescription dog food did not help and from the research I've been doing, is most likely counter-productive in terms of health for our dog. We just put him on a raw food diet, feeding him a mix of chicken, rabbit, beef, duck. This food comes in the form of half pound patties. He get a little less than 1 pattie a day as 1 pattie is recommended for a 25lb dog and Jake is 18lbs. We also supplement his diet with probiotics and vitamin B. It has only been about 2 weeks since we changed food. Jake used to be a grazer. We would put his kibble out for him in the morning and sometimes he wouldn't even eat that day. Now, he is standing on his hind legs waiting for his food! I've noticed that he has a lot more energy and seems to be much happier. We will see if the food works. I just purchased the ph test strips from Amazon so I can test his urine myself. The vet charges $50. I will let everyone know the results when I have them. Does anyone else have info. 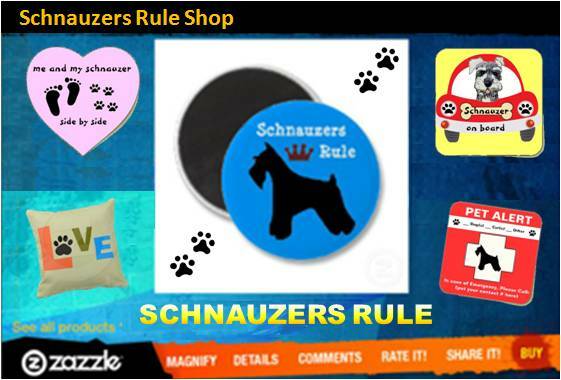 to share related to this common miniature schnauzer problem? My schnauzer is 4, she has crystals in urine...she has been on a grain free dog food and of course I supplement w/vegys (I'm a vegetarian. My vet said no ppl food, get off grain free, so now she's on Hills science diet c/d specific for her ailment...in 1 1/2 wks she gained a pound!! Now I'm reading grain free is good! WTH! The Vet thinks I'm crazy because I fed her vegys and fruit, thinks I'm nuts over the grain free food...wth...now reading that the foods she has been eating are not harmful!? Idk what to do or who to talk to! I am going through this again with both male schnauzers who have had stones removed about 5 years ago. They are full brothers and this is diffenently a genetic issue in the breed. Water (lots of fluids!) is essential!! CARROTS ARE B-A-D!! for oxilate stones. My vet called a canine nutrionist with Science Diet and he gave me a list of foods that are ok to give as treats and he is putting Jackson on canned Science Diet G/D as he also has a liver function issue at 11 years old - so we have treat both. The liver food he was on made the stone issue worse and the Royal Canin S/O was not all that great for his liver. This food is good for both urinary and liver issues. Green beans are also oxilate producing - except he can have canned ones. I don't understand that totally. These are known issues with schnauzers in addition to digestive illnesses. by: Someone who does their research and works in the veterinary industy! CARROTS are actually still in the moderate risk category for oxalates and should NOT be given to your dogs if they have a history of oxalate stones. All human food given to dogs should be in the low risk category only! Also asparagus should be cooked. Hey, great recipe.I ahve been aruging with many non pet owners for several years over how I feed my Schnauzers.We tend to stay away from dry dog foods and I cook them whole turkeys,veggies and raw carrots for cleaning there teeth along with brushing.I must mention how important it is to use toothpaste for DOGS!!! Human toothpaste can cause renal failure and other issues in all breeds.Please keep posting these wonderful recipes.There is currently no FDA guidelines in the manufacturing of petfoods in our country and many of them comtain ROADKILL and other things that we would not dare feed to our family members.